Football began in the 19th century and has slowly developed over time becoming one of the most exciting sports played around the world. 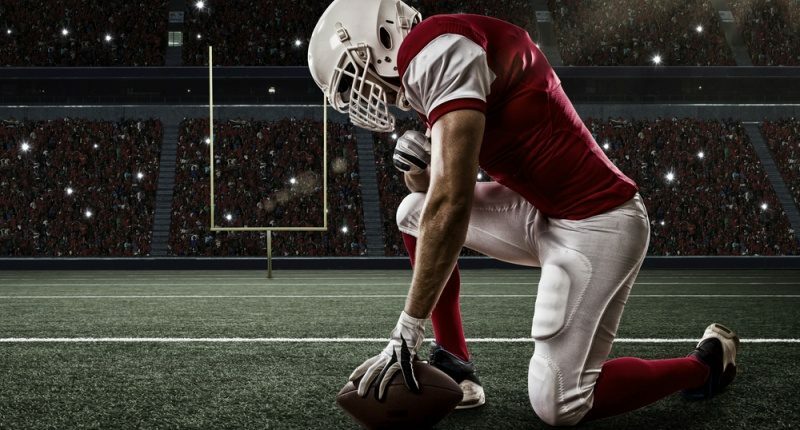 Football grew out of a combination of soccer and rugby and has developed into the single most popular sport in America. Football is also gaining popularity around the world through NFL Europe, the Canadian Football League, arena football and other avenues. 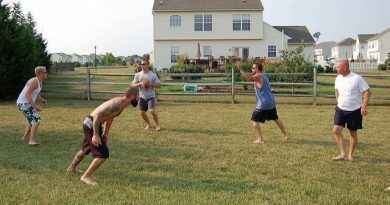 Football can be played anywhere on any flat field. All you need are some friends and a ball to throw around. Sometimes you can even play football in empty parking lots on hard surfaces, if you play with the appropriate rules. As you may have already noticed, the shape of a football is quite unique. No other sport is played with a ball that is shaped like a pointed oval. Almost all other sports use a round ball, and in fact, even football began with a rounder ball. Overtime, it became apparent that the pointed oval shaped ball traveled farther and was easier to throw further. You will also need a rectangular field. The official size of a football field is 100 yards x 53 yards and 1 foot. Of course, if you don’t have a field this large, you can easily use a smaller field. In fact, most flag football games are played on a field that is only 60 or 80 yards in length. Most people get together, grab some orange cones and mark off a field. No cones? No problem, use some duffle bags, water bottles or extra balls. If you love the game you will find a way to play. Football is usually played with two teams of eleven players. So essentially, you have 22 players on the field at the same time, similar to soccer. However, if you don’t have eleven for each team, any number can be used. In fact, most flag football only uses seven players per team. Other variations can see as little as 5 on each team. The game of football has three main phases. You can play offense, defense or special teams. The way these three phases come together is what makes football what it is. The object of the game is to score points by advancing the ball past the opponent’s end zone (a line at the end of the field). The opponent has to try and prevent your team from crossing that line. The team that is on offense is controlling the ball, there is a team playing defense trying to prevent them from scoring. The offensive teams gets 4 chances to advance the ball. These are called “downs”. You have four downs to try and advance the ball. If you are successful in advancing the ball at least ten yards, you receive another set of four downs. The ball may be advanced either by throwing it through the air, or by running with the ball on the ground. The defense must come up with schemes to prevent the offense from advancing the ball. How? They bring the person’s body that possesses the ball to the ground. Once the ball carrier touches the ground with their body, they are considered “down”, meaning they are no longer allowed to advance until the next down begins and that play is over. The ball is placed at that spot. If the offense is not able to score or gain the ten yards needed to earn another set of downs, they may have to punt the ball. A punt is a ball that is kicked from a player’s hands that travels to an awaiting player from the opposite team. So the punting team brings us to another phase of the game known as the “Special Teams”. These are the kicking units; the punt team, the kickoff team, and the field goal team. In backyard football and flag football, special teams are rarely used. Sometimes people play with punts and kickoffs, but you never see field goals. Simply because, in most backyard football, there are no goal posts to use and people don’t have experience using them. The excitement and pleasure in playing football is not diminished by eliminating the field goal, so the game still works. In backyard football, kicking off can be done off the ground or by throwing the ball through the air to the opposing team. Sometimes people will come up with their own variations like not even having kickoffs and just having the opposite team start at their own 20 yard line after each score. During family reunions, everyone gets together and play different variations of football. It wouldn’t be nice to form tackle your father to the ground, so they usually play a less contact form of football like wrap, flag, or two-hand touch. The least contact of these variations is flag football. Everyone wears a belt and it has ribbons or tails hanging off that you have to pull in order to down a player. Once the flag belt comes off, the player is down and can’t advance the ball anymore. Two-hand touch is similar in that you merely have to touch the player who is advancing the ball with two hands simultaneously, and that player is down. Wrap is another variation wherein you have to completely wrap your hands around the player that is advancing the ball in order to down him. This isn’t used much, but it works if you want to play tackle, but can’t since the concrete or asphalt ground would be too painful to fall onto. As you can see there are many ways to play football. This sport provides hours of enjoyment. It’s perfect for family reunions, friends, and all sorts of gatherings. Some like to take it easy, while others are very serious. You can play flag football, which is the least violent to full-fledged tackle football.